More info, including various links, can be found HERE. Attending a program at the ROC is an excellent way for students to get a head start on their career path. The next school year marks some exciting new additions to our already exciting program line-up. The ROC is going through a modernization which includes adding several new programs. New offerings at ROC for the 2019-2020 school year include Culinary Arts, Cosmetology, and Construction Trades. Students can visit those individual program pages for more detailed information. The 2019-2020 school year also marks the opening of ROC’s sister campus, CTEC. CTEC is on schedule to open to students in January 2020. About half of our programs will start the school year at ROC in August 2019 and then transfer to CTEC in January 2020. Please see our current Program Flier to see which programs will be effected by this change. The online application period for students to apply for a ROC program will be open from November 1, 2018 through March 8, 2019. Students who are interested in attending a program at ROC during the 2019-2020 school year should visit the ROC website and submit an application. Students will be asked to enter their information and select up to two choices of programs that they would like to attend. If a student changes their mind about the program selection, all they need to do is submit another application. Only the most recent application is used to select students for a program. 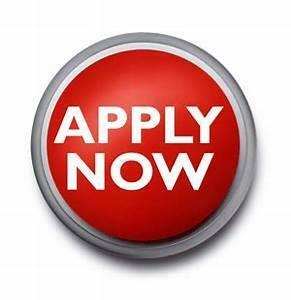 After March 8, 2019, the student’s home school counselor will begin selecting students to attend a program from the list of all the students that applied. Students will be notified in April if they have been selected to attend a program for the following year. Students interested in attending a program at ROC are encouraged to visit one of the ROC Recruitment & Career Technicians that visit their site every three weeks. Typically they will have lunch time booths set up and also do presentations to groups of students. Students are also encouraged to begin talking to their high school counselor about their interest in attending ROC. On January 23rd and 24th of 2019, interested students from all of the feeder schools will be invited to come to the ROC campus for a tour. This is a great opportunity for students to get additional information about attending ROC. Students can sign up for their tours through their counselor starting in December. This is an exciting time to be a part Kern High School District’s Career Technical Education programs. We look forward to seeing you on campus!